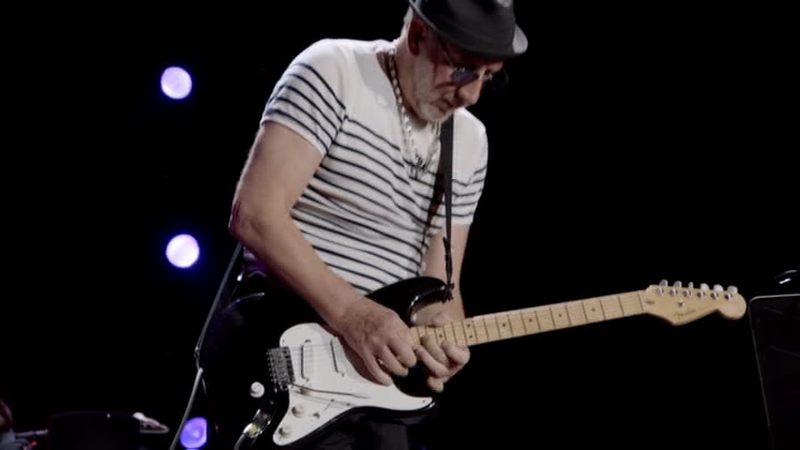 The history of the modifications leading up to Pete’s present setup is not a simple one, but in short, as it stands at the moment, almost all of Pete’s Strats are equipped with Gold Lace Sensors, “Eric Clapton” electronics such as the TBX tone control, midboost and preamp, and Fishman electronics to allow an acoustic output as well, by means of a splitter box, DI and stereo cables. Unless noted, all the Strats below seem to have the aforementioned electronics, a two point Fishman Powerbridge tremolo (with acoustic pickup capabilities, controlled by an extra volume knob behind the bridge) and Sperzel locking Tuners. 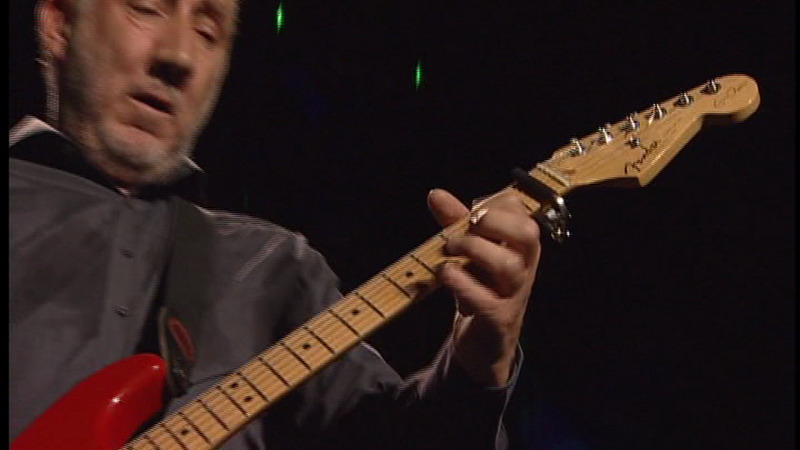 I had previously been under the impression that any Guitar with the Clapton Signature on the headstock was a Clapton and any without it was a Strat Plus. However, in an excellent recent article by http://www.guitar-bass.net* which includes an interview with Pete’s tech Alan Rogan, the author seems to claim that ALL Pete’s guitars are Claptons, but the signature has been removed from the headstocks. This seems unlikely, since most are in colours the Clapton was never offered in, and since Rogan has stated that some of Pete’s Strats are custom made by Fender. 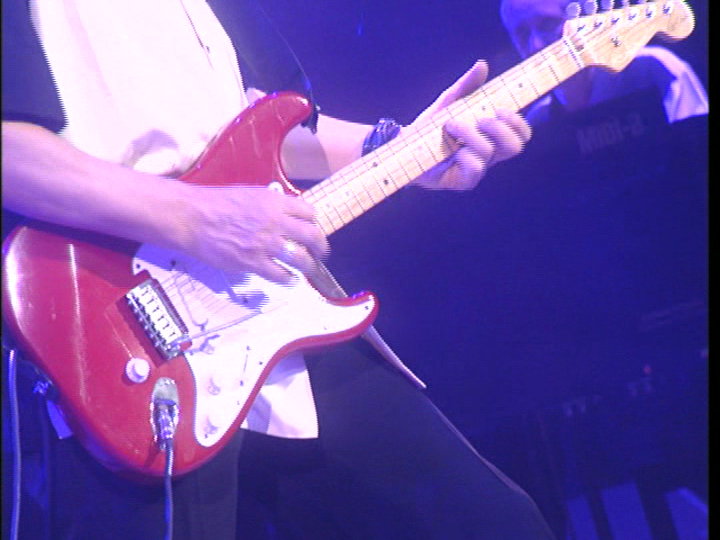 I have listed the Strats in no particular order and please note that although some are numbered in the images, Pete changes the numbering between tours, perhaps even between shows. It’s also possible, if not probable, that some of these guitars (or parts thereof) may appear more than once in the list, their specs having been changed between tours. 1. 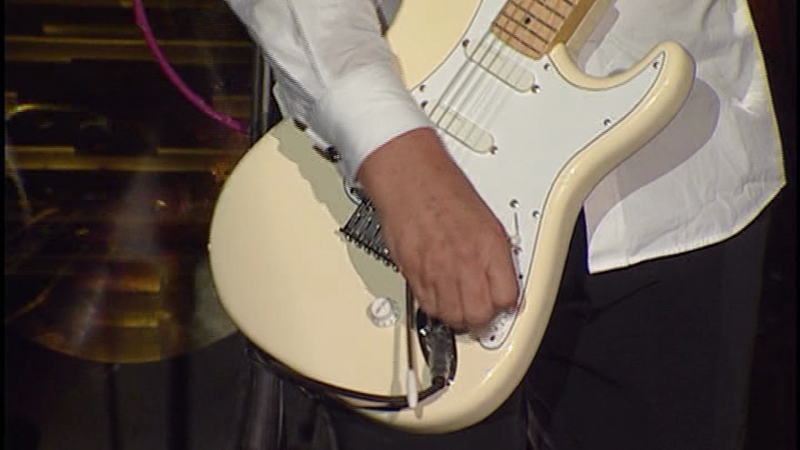 Number one is an olympic white Strat with no Clapton signature, ivory coloured pickup covers and a 3 ply white pickguard. 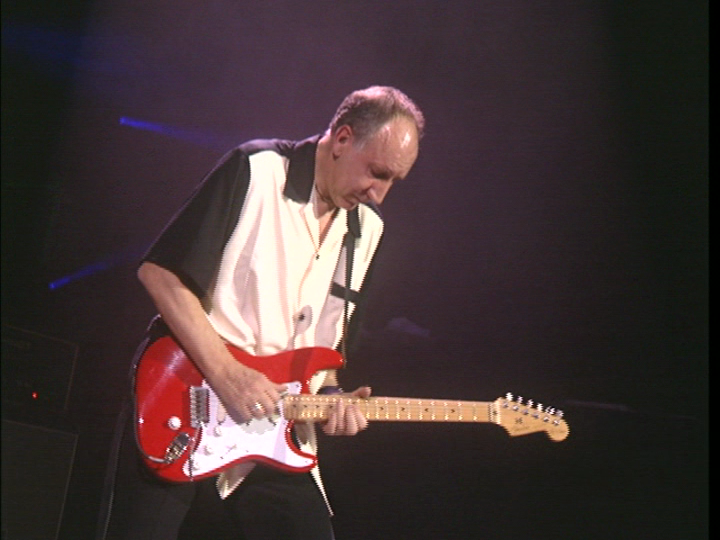 Shown here as seen live in 2007. 2. 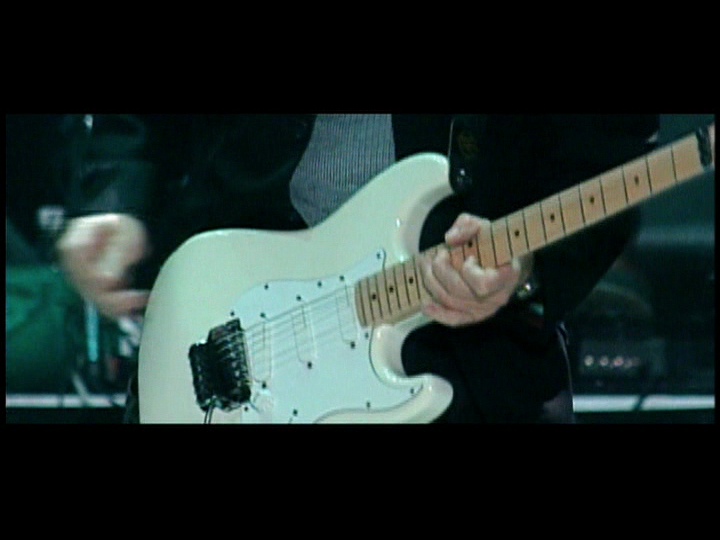 Number two is an olympic white Fender Strat Plus with very similar specs as number 1, but with a single ply pickguard. 3. 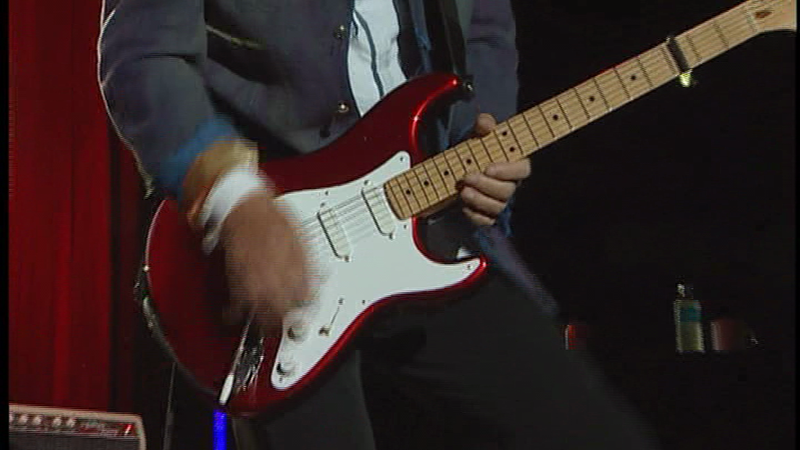 Number three is a torino red Strat Plus with white pickup covers and knobs on a Mint Green pickguard. 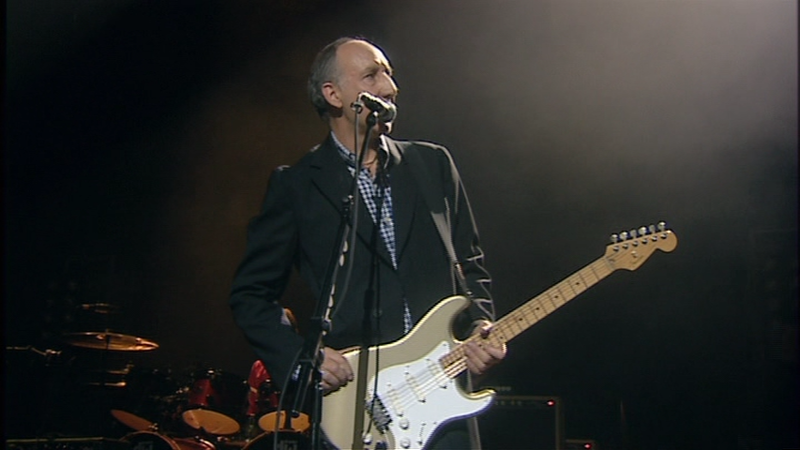 Shown here as seen live in 2007. 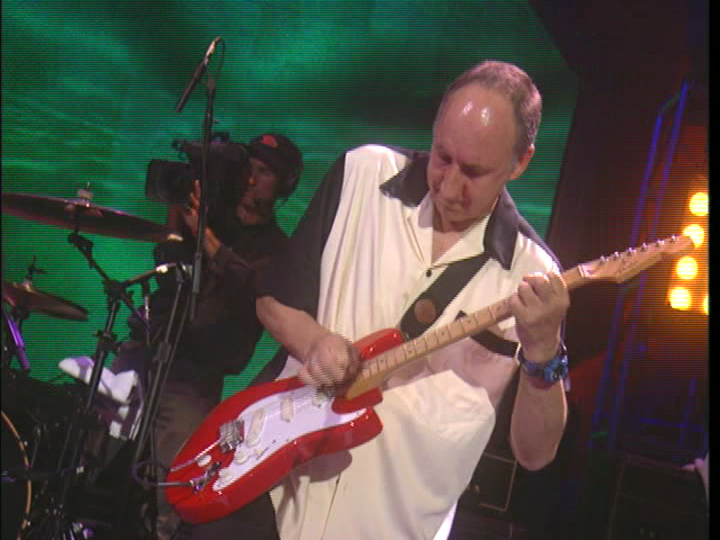 This would seem to be the Strat Pete used on “Won’t Get Fooled Again” at Live 8. 5. Number five is a torino red Clapton signature. 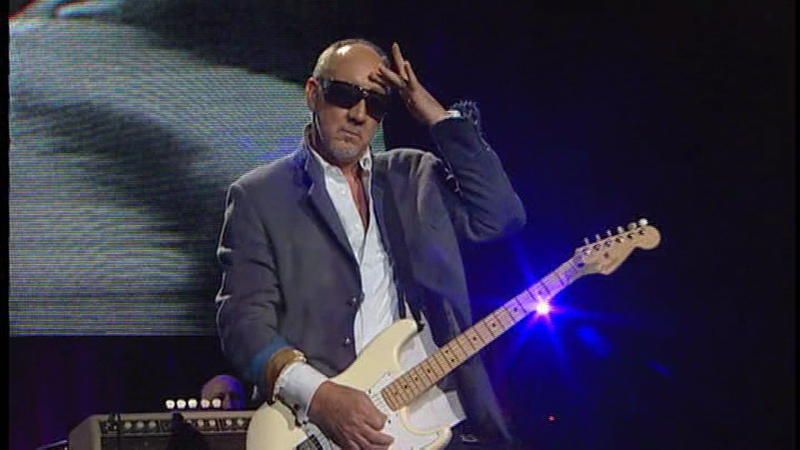 Shown here as seen live in 2007. 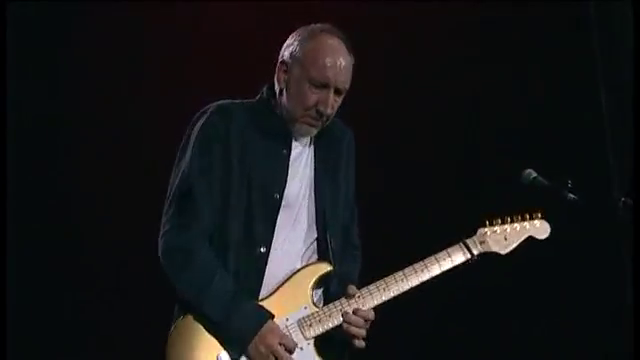 Unless he has duplicates (and this is entirely possible) This would seem to be the Strat Pete used at the Superbowl XLIV halftime show and for “Who Are You” at Live 8. 6. 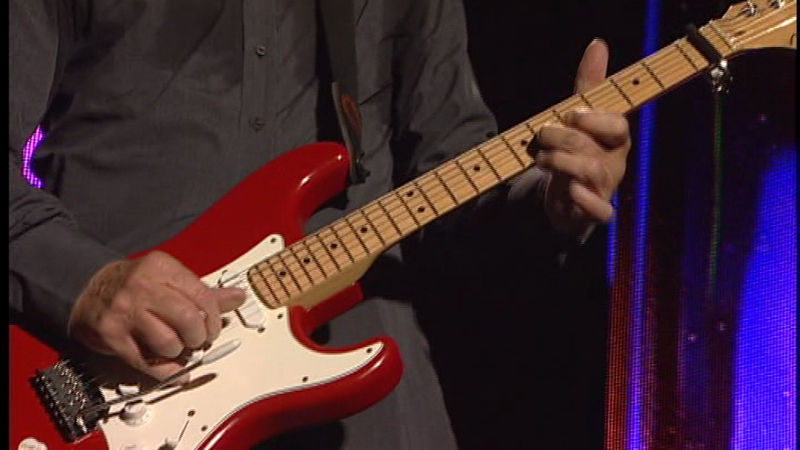 Number six is a Candy Apple Red Strat with no Clapton signature and a single ply pickguard. 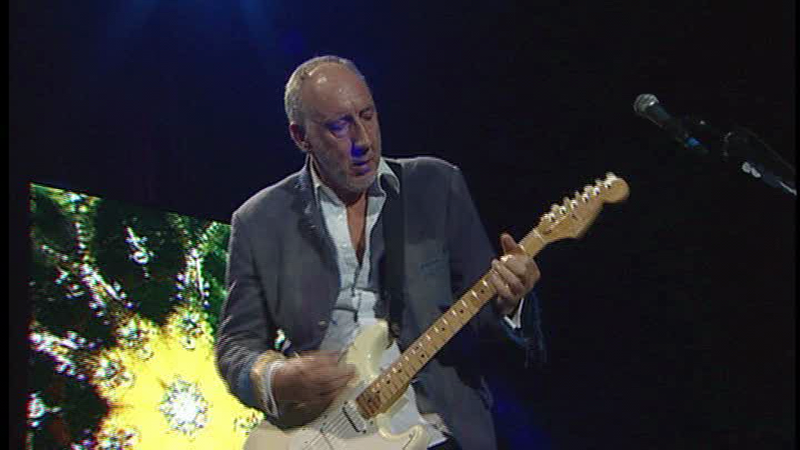 Shown here as seen live in 2007. 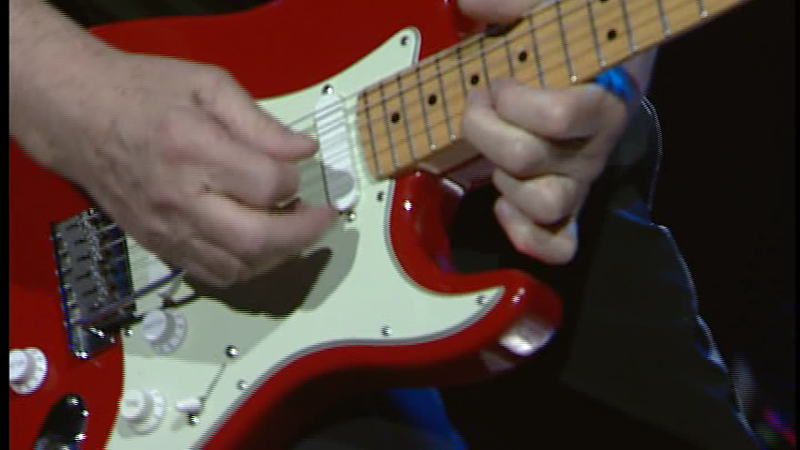 As a side note, Pete played a Candy red Strat like this with unusual fret markers in Feb of 2013. 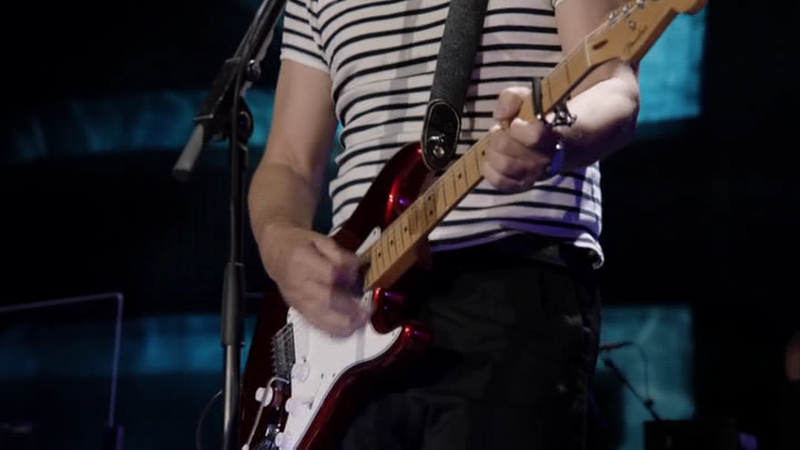 As far as I’m aware, there is only photographic evidence from one gig, so if anyone has information on this neck, I’d love to hear it! 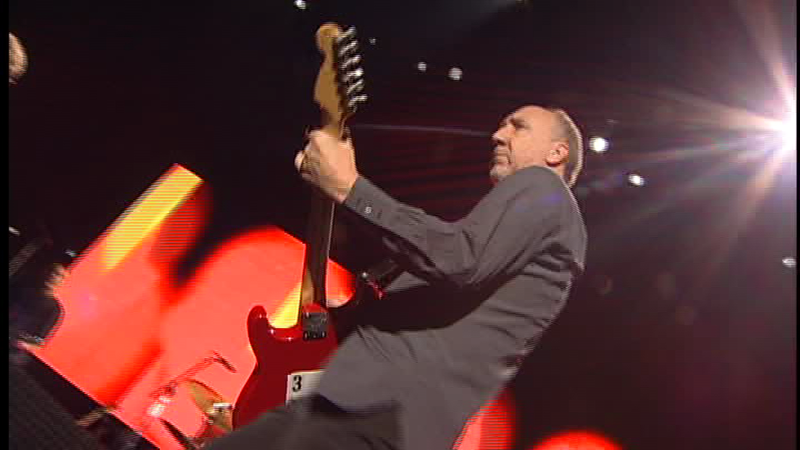 It seems the guitar either had extra markers inlaid or attached to the fretboard or an entirely new neck installed. 7. 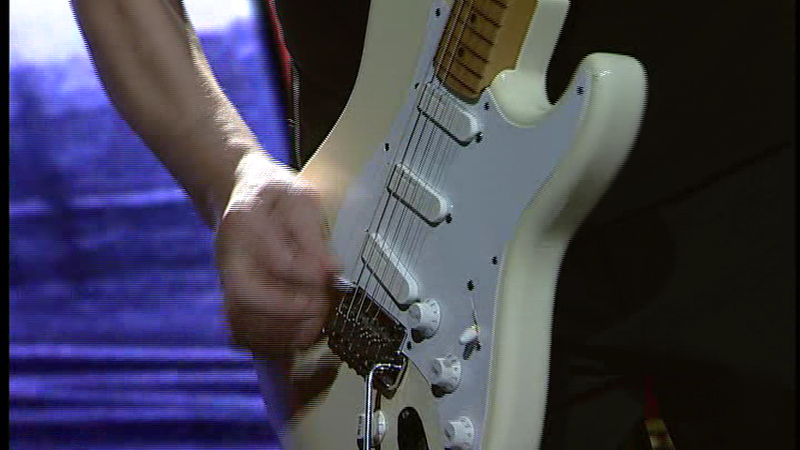 Is an olympic white Strat Plus, very similar to number one, but with distinct white pickup covers. 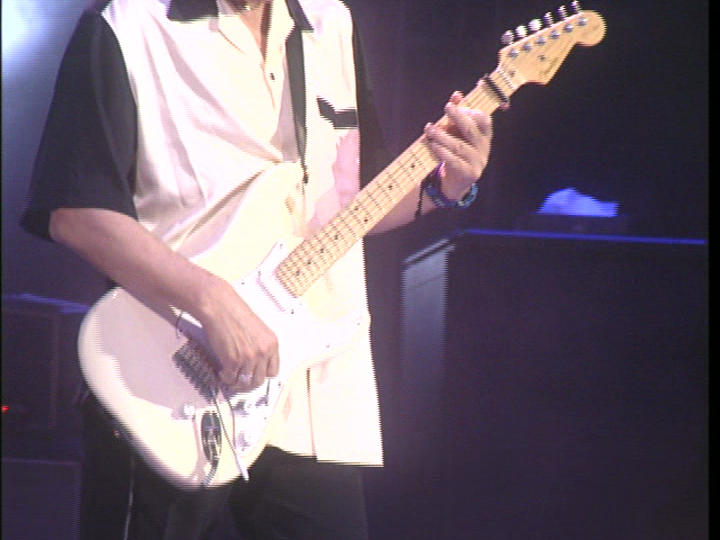 Shown here as seen live in 2007. 9. 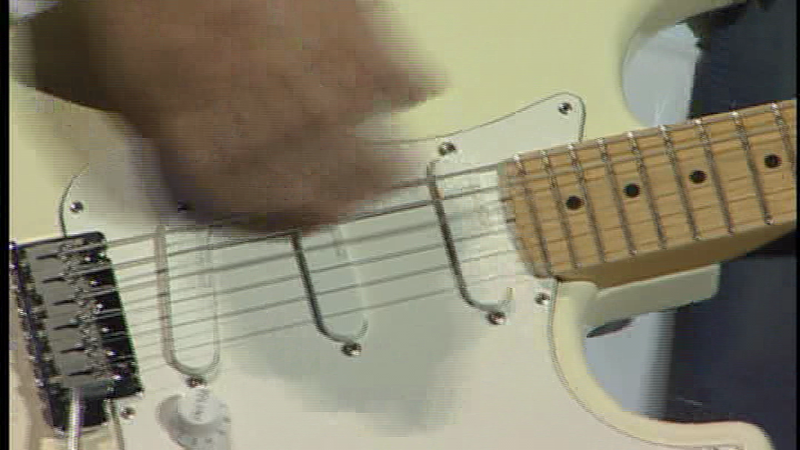 Number nine is an olympic white Clapton signature, but with the pickguard modified to suit a large tremolo system. This could well be either the same guitar as number 8, with a new neck fitted and the Kahler removed and fishman electronics added, or perhaps the pickguard assembly from 8 refitted into another guitar. 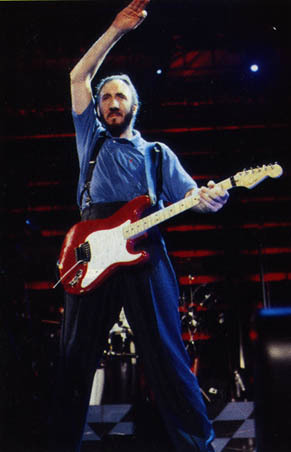 Shown here as seen live in 1999. 10. 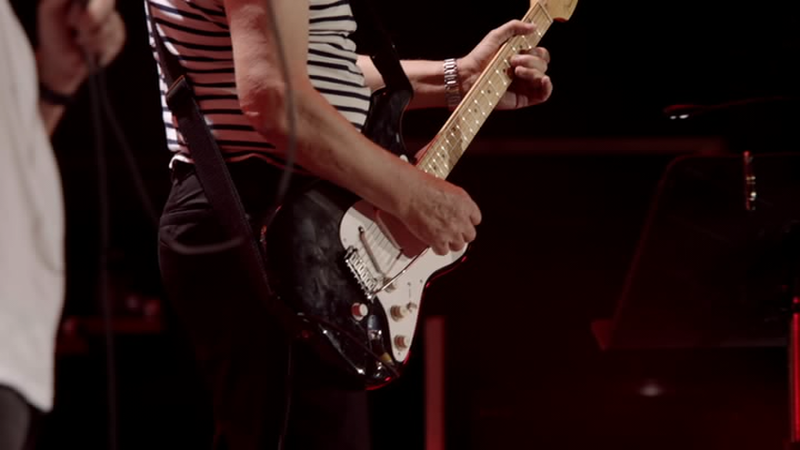 Number ten is a torino red Clapton signature, with cream pickup covers and what looks to be a Fishman VS-50P Powerbridge which I have not seen on any of Pete’s other guitars. 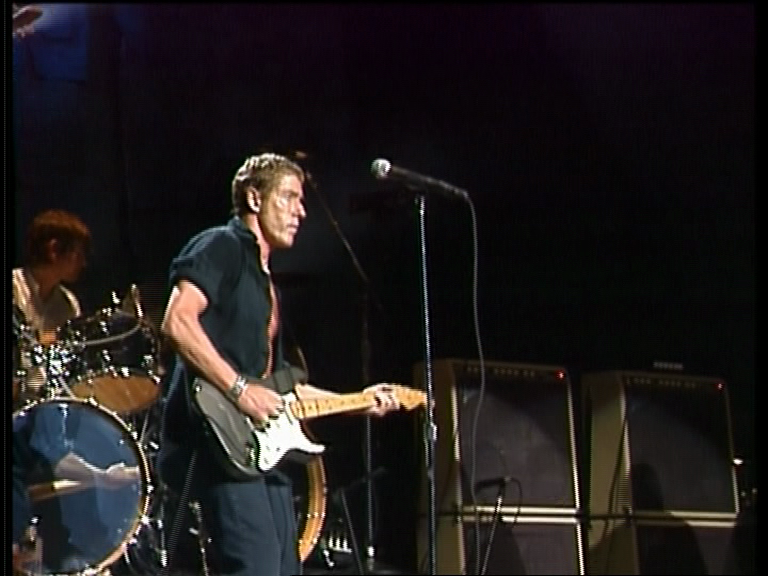 Shown here as seen live in 1999. 11. Number 11 is a torino red Clapton kitted out the same as number 8, with a Kahler trem and locking nut and no fishman electrics. (Images from 1989, found at http://www.whotabs.net at the address listed earlier in this article). 12. 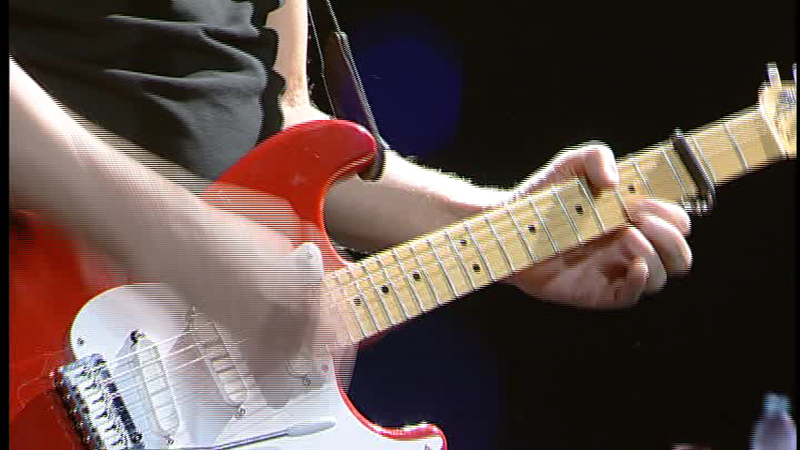 Number twelve is a Clapton signature, but similar to number nine, it has a modified pickguard for a larger trem. 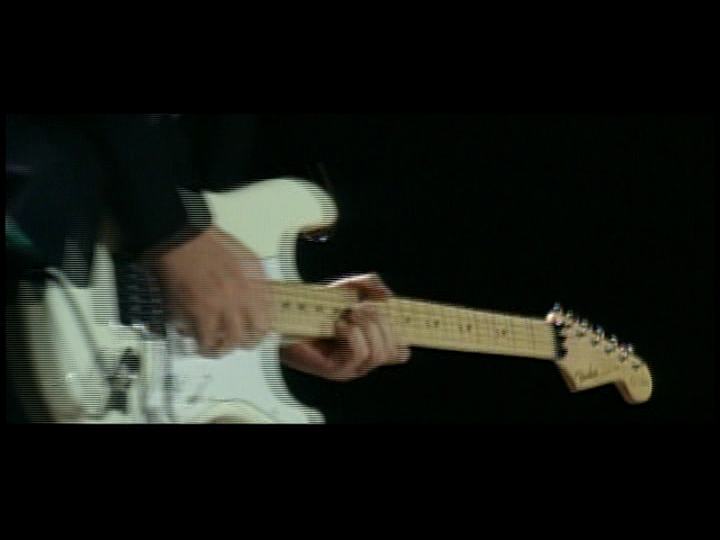 It seems likely that this guitar is a later version of number 11 (or parts of it). If this is true, eight and eleven may well have become nine and twelve respectively, following the same changes. Shown as seen live in 1999. 13. 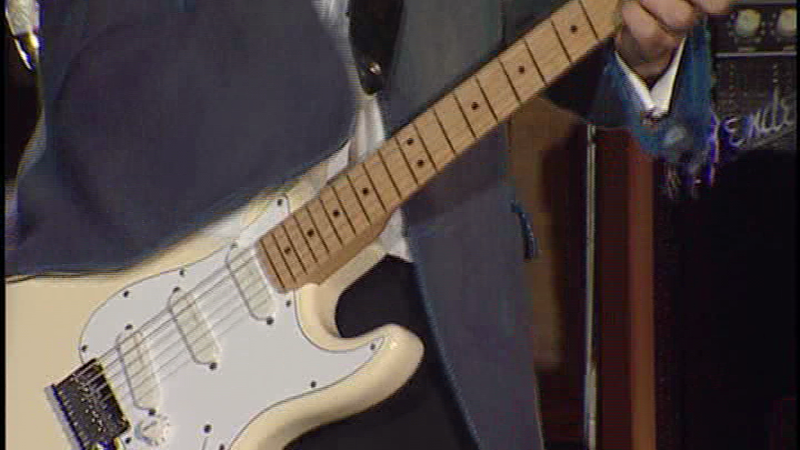 Number thirteen is a shoreline gold Strat with no Clapton signature. 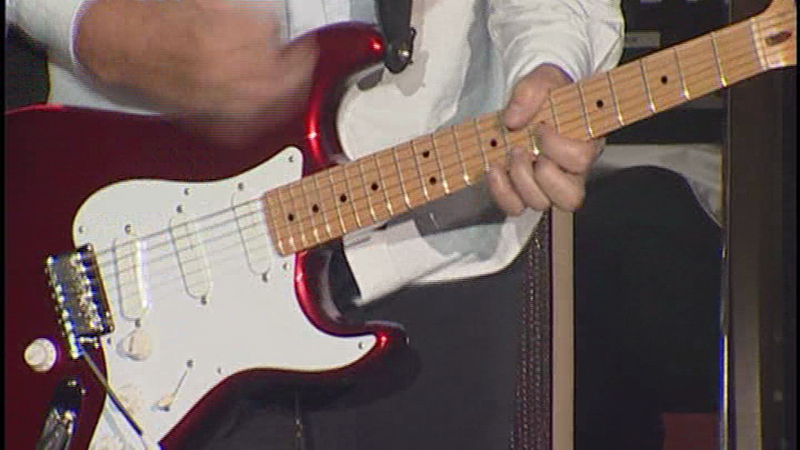 Shown as seen live in 1999 and (in the third image) 2007, this guitar seems to have picked up a very distinctive ding in the paint on the tip of the lower horn. 14. 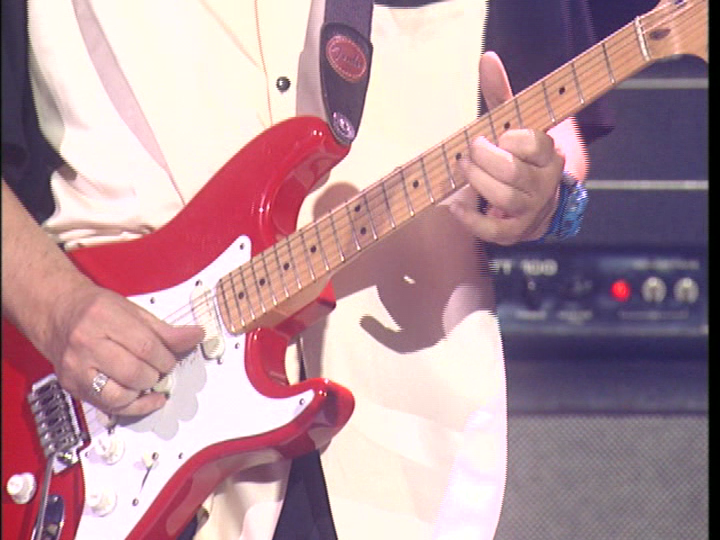 Fourteen is a Candy Apple Red Strat with no Clapton signature, distinguishable from number six by a three ply pickguard. 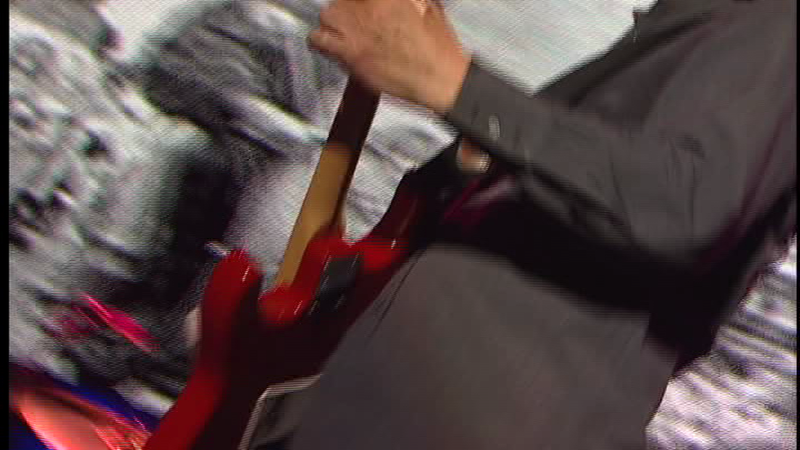 This guitar seems to have been Pete’s favourite on the 2012/13 “Quadrophenia and More” tour and can be seen throughout the DVD. 15. 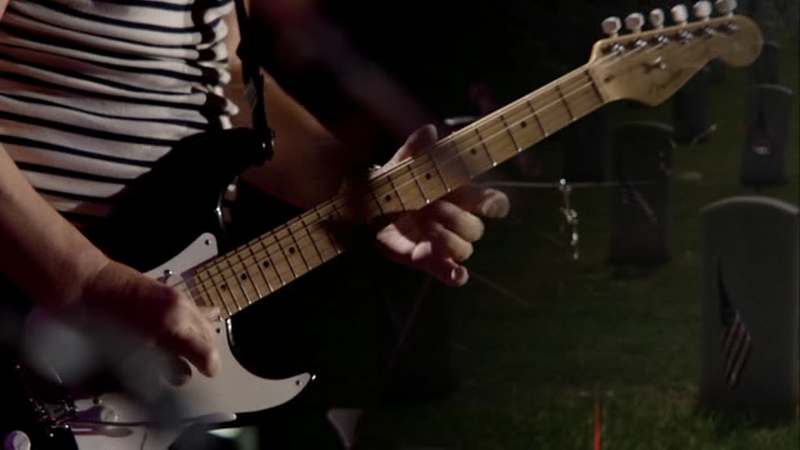 Fifteen is a black Strat with no Clapton signature. 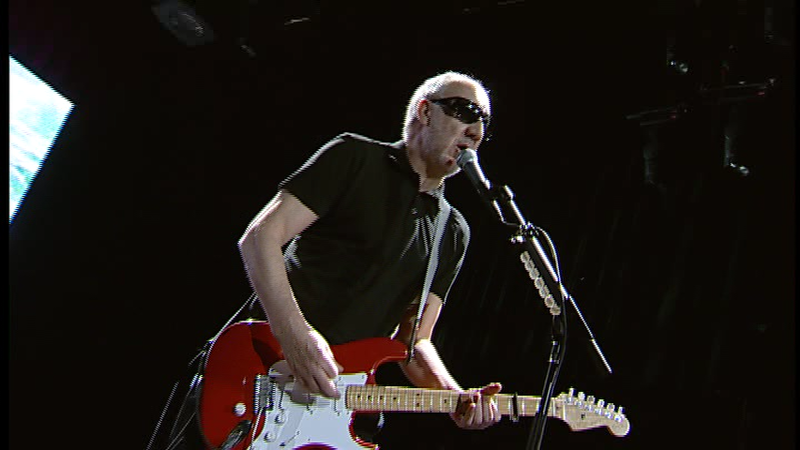 Used rarely on the 2007 tour, it features heavily in the 2012/13 “Quadrophenia and More” tuned to Eb. 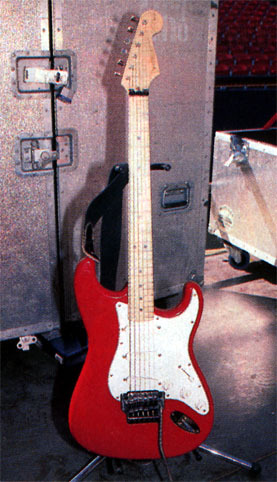 According to the guitar-bass interview with Alan Rogan, this guitar dates to 1992. 16. Sixteen is an Aztec Gold Strat with no Clapton signature and a 3 ply pickguard. 17. 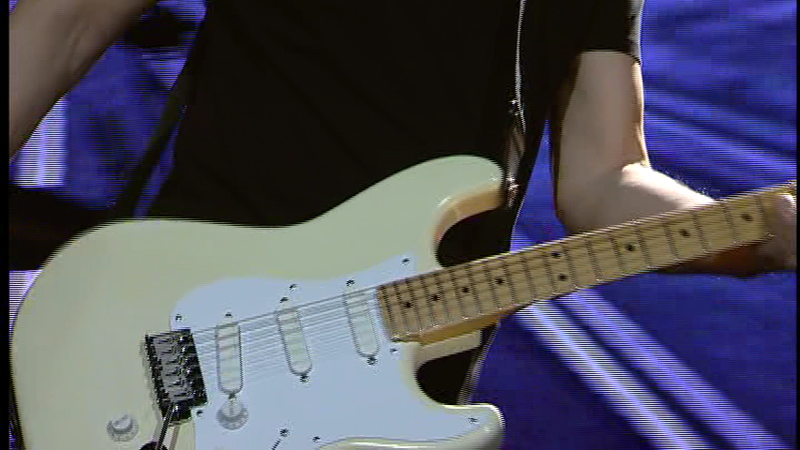 Seventeen is an Aztec Gold Strat with no Clapton signature. It differs from 16 in that it has a single ply pickguard, and seems to be the only one of Pete’s Strats to feature Gold Sperzel tuners. 19. 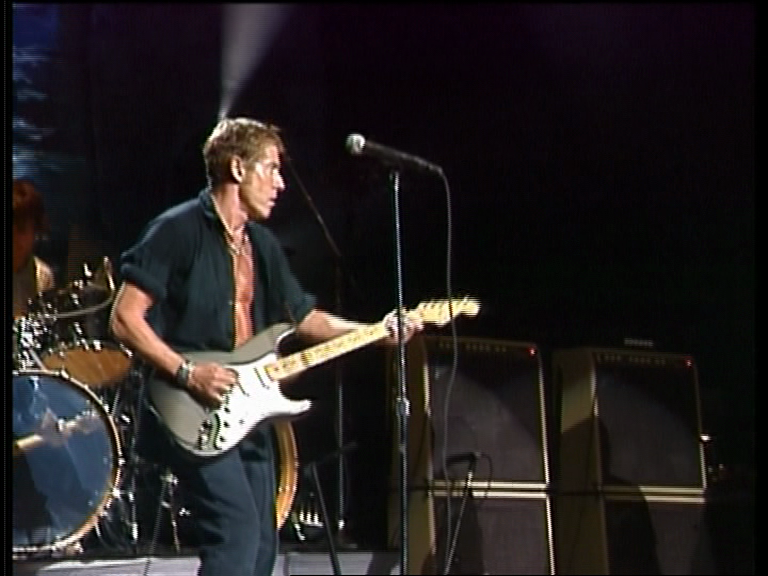 Though likely not strictly one of Pete’s guitars (it doesn’t have the fishman modification knob behind the bridge), Roger was seen in 2007 playing a similar Pewter Clapton Signature with Gold Lace Sensors on “Eminence Front”.